I had a horrible thought today. But wait a minute. What if I had to stop using Lightroom or Aperture tomorrow? How many images have I non-destructively enhanced in these applications, and what would happen to them? I also use Capture One and DxO Optics Pro, so how many more ‘virtual adjustments’ have I applied in these programs, too? The trouble with non-destructive adjustments is that they’re proprietary. Adobe’s adjustments will make no sense to Capture One, DxO’s won’t mean anything to Aperture. I’ve realised I have thousands of ‘edits’ locked in to specific applications, with no ‘exit strategy’ for any of them. Let’s see the scale of the problem with my own Lightroom catalog. This contains just under 50,000 images, many of which will have been edited within Lightroom… and it’s easy to find out how many. First, I create a new Smart Collection, choose ‘Has Adjustments’ as your parameter and ‘is true’ as the condition. My new Smart Collection displays the number of matching images alongside, and it’s really quite worrying. I know all these images have one or more non-destructive adjustments, but I don’t know what they are, how important they are or whether I can afford to lose them. I could set up more sophisticated Smart Collections to tell me what I’ve done, but that would take a long time, so for now let’s treat this as a simple problem: I’ve got nearly 9,000 edits I’m going to lose if I don’t do something. Whether you’re using Lightroom, Aperture, Capture One or DxO Optics Pro, your exit strategy will be the same. You need to export your editing images as new, ‘universal’ files, like JPEGs or TIFFs. Let’s say I go for high-quality JPEGs. I’m guessing they’ll come out at around 5Mb each, which gives me a total of around 45GB. That’s not so bad. I can easily find that on the external drive I use for my image library. But what if I want better quality? What if I want 16-bit TIFFs? They’re the closest thing to a high-quality ‘universal’ format. Don’t get me started on DNGs – that’s a whole new post, and I’m steeling myself for a debate about JPEGs vs TIFFs, too, so watch this space. Anyway, if I try exporting a 16-bit TIFF with a 24-megapixel image I shot recently, I get a 125MB TIFF file, even with zip compression. Ouch! If I do this with all my edits, I’m going to need anywhere from 500GB to 1TB. But let’s get real about this. We must all be reaching the point where we need to start storing our images on external drives (it’s what I do), and once you make that decision, space isn’t the issue it once was. I use a 1TB portable drive for my image library and it’s plenty. The time will come when it’s not, but you can already get 2TB portable drives, so I’m not too worried. My point is, though, that if I know I’m going to face this issue at some point in the future (I won’t be using all these apps forever), why don’t I change the way I work today? Why don’t I just save ‘real’ files as I go along? It’s true that I won’t be able to change them again afterwards in the same way, but I’ve been looking closely at the way I work and I’ve realised I edit non-destructively ‘just in case’. But in practice, I don’t re-edit work I’ve done already at all. What actually happens is that if I see a better way to do something, I almost always start from scratch with the original file. Has this changed my mind? Actually it has. Previously, I’ve been advocating non-destructive editing just like everyone else, but I’m not sure this is right. I’m starting to think I want permanent records (i.e. files) of the adjustments I’ve made, and I want them to be available to all my apps, not just the one I used to make them. I’m starting to think that if an editing task was worth doing, it’s worth saving – and not just as some proprietary metadata in a virtual ‘limbo’, but as an actual real-world image file. I’m starting to think I should have an exit strategy for all the non-destructive apps I use, and that it makes sense to start now, rather than face a crisis later on. Non-destructive editing is indeed fantastic. It is smart, it is efficient, and it has changed the way we work. But be warned: while you’re saving space, you could be storing trouble. I faced the same conclusion when I switched over to CaptureOne Pro as my raw processor of choice. While I find CaptureOne Pro much superior as a raw developer, its cataloguing abilities are weak compared to Lightroom, and very unstable. The first drive holds my RAW files and are processed with CaptureOne Pro. Then output as 16 bit TIFF files in ProPhoto RGB color space, no compression. Here I use Adobe Bridge to inspect these images. I usually send them to Photoshop for further editing including plugins and filters. If the image has layers it will be saved as PSD, then flattened and saved as TIFF overwriting any previous copy. These are my now my MASTER files. The second drive contains all the images I want to catalogue, including a copy of the Master Files. In Lightroom I add keywords and metadata and from here I manage all possible outputs either exporting or using the publish plugins. I only export from a flattened tiff file. I never export from raw or psd. External hard drives are cheap nowadays so storage is not a real issue. Both external hard drives are backed up and synced twice to more external hard drives. I feel each person has to look at this issue based on their own situation. Both Rod and Fernando make some excellent points. That said, their approaches add additional time and effort today, attempting to forestall what may or may not occur in the future. I find the flexibility and safety of non-destructive editing too great a benefit to give up, so I live with the potential downsides, if I am forced to move away from Aperture sometime in the future. One possible way to address this issue, without too much effort, additional hard drives and increased cataloging, is to utilize keywords or ratings to define photos with edits worth keeping. I can live without the quickie edits I made to print up 4×6 family photos, as they are easy to recreate. The hour long project for a show print is what I don’t want to do over. Very good timing. Just today I was doing my annual cleanup of my images and the concern over the proprietary non-destructive adjustments crossed my mind. (I still have some BetaMax tapes around the house! ) Proprietary is the key word. We do not know were this somewhat young digital world is going. However, it will not be an overnight transformation. We will have time and probably expensive conversion software to help us. I am really concerned that the small number of really meaningful images to me will not be available if something happens to me. I have taken several really trivial steps to help this situation. I have printed the most important images and the rest I have exported as tiff files to an external hard drive that is backup to a cloud. As an Aperture user this was trivial since I just developed a smart album for the 200+ processed images and exported them. The rest of images are on their own for now! That’s exactly the point. Since I too don’t re-edit the files, I will convert them to high res JPGs a year after I shot them. We can read JPGs from nearly twenty years ago but will we be able to read proprietary files (such as NEF, CR2, ORF, DNG) in twenty years from now? I made the mistake of converting all my files to DNG (arguably the most proprietary file format) up until about half a year ago. No more. I stepped up the ladder and use DxO (for architecture and landscape) and Capture One Pro (for people) these days. I’ve found many helpful ideas and tutorials on your website. Thank you very much for your work. Hi Reto, thanks for your comments. I try to give the best advice I can based on my own experience, but it’s always good to hear from someone who feels the same way. I am planning a post on DNG shortly, and I expect it will cause some arguments! I like your remark: ‘arguably the most proprietary format’, because I think that’s exactly right. Up to a certain extend, there is compatibility between Lightroom and other non-destructive photo editing apps. For Aperture, the clock is no longer ticking. Now that Apple has stopped development, but not suggested an alternative path for current Aperture users, we have the situation you described. You may be right. For the moment Aperture is being maintained, but there’s no sign of any real development. 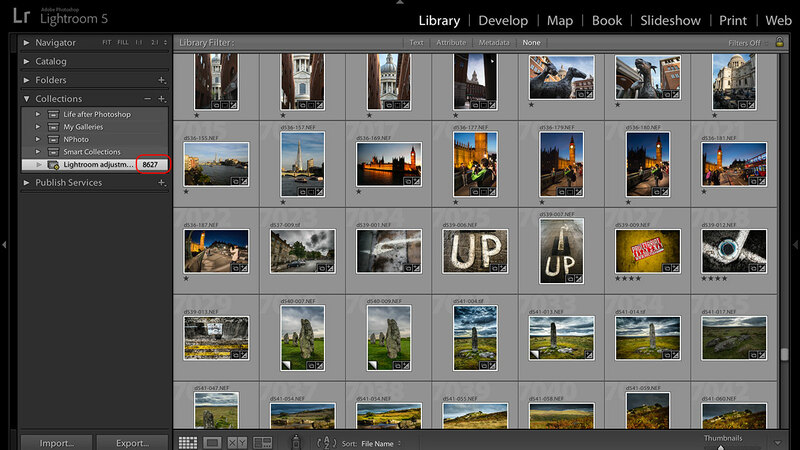 I wish I could say otherwise, because as an organisational tool I think it’s still way ahead of Lightroom. Sadly, there’s no “may” about it. Apple provided a statement to a number of media outlets on Friday saying that development had stopped. Aw hell. How did I miss that? Thanks for the heads up. Ahhh poor Aperture…I will miss it. But that’s the reason why I found this site :-). It’s discontinuance is what brought me back to the “opportunity” of (re-)evaluating other pkgs. I’d looked at C1 years ago before it had library mgmt (still need to go research what it has now). Hadn’t run across DxO before. An earlier post mentioned DxO for architecture and landscapes and C1 for people. I shoot a lot of both. As a personal hobby we travel old mines, narrow gauge railroad and logging sites and I “document” the buildings and structures inside (when possible) and out in detail. one structure may get 150-300 shots, not counting “safeties”. I shoot in RAW (NEF) and jpeg. Soon… My question…why is DxO perceived to be better than C1 for landscapes and structures? DxO Optics Pro has very good lens correction profiles which will be very effective on man-made structures (straight lines). It also has really good noise reduction – very useful if you’re shooting indoors or at night at high ISOs without a tripod. I’ve not heard anyone say it’s better than Capture One for landscapes. In my experience, Capture One delivers really punchy colours and contrast, which sounds like just the thing for landscapes. I really believe your are on to something here. I have been a user of Nikon’s Capture NX precisely for the non-destructive edit functions, u-point, etc. and best of all the edits are stored inside of the original NEF! But alas, all good things come to an end and now Nikon is abandoning further development of Capture NX. Now I have some 40,000 NEF’s, some with edits others without, and a lot with picture controls applied in camera that LR or C1 doesn’t “see”. As I contemplate switching to a different RAW editing option I have to believe there is a better way. Non-destructive edits that are universally recognized. I loath thinking about looking for a strategy to find the edited versions and then batch output (Capture NX is glacially slow at this BTW) to “baked in TIF’s. Media Pro can do this but I am wary that the TIF might not be as good as what Capture NX can produce. Thank you for taking up this important topic. I hope you continue this discussion and/or your search for a reasonable and well thought out “sustainable” workflow, and that your voice is heard and echoed by other professionals that are facing similar workflow deadends. Thanks for this article. I am new to Lightroom and find it difficult because my belief is that a DNG should be treated as a negative and untouched to keep the the sensor data pure. The idea that Adobe had is to leep altering the DNG file in a non destructive way, but this leads to complications that not all programs will be able to read the metadata and editing data. Altered Images should be saved as TIFFs or some other suitable format, leaving the DNG file intact. Multiple DNG files leads to confusion when it is the same negative with different adjustments. Good to read someone has already bumped into this earlier. Absolutely with you. I edit a shoot, export the jpgs and thereby ‘bake’ my changes in. Then the jpgs are the master set, and I don’t do anything to them I might want to undo, like making them black and white. I do keep the raw files but only for a short time, with the exception of portfolio images which I copy somewhere else. Jpg compression is totally fine with me. The only thing jpgs can’t do is let you make broad changes to exposure and white balance. For that you need raw. Once you’ve done that work, high quality jpg is absolutely fine from then on. I hit this problem today with ON1 Photo 10. ON1 added non destructive edits (Smart Layers) in version 9 of their product. In version 10 they removed one of the modules (Perfect Black & White) and moved it’s functionality into Perfect Effects. While this makes sense they decided to not support the Black&White smart layers anymore in their new product version. Because the software now refuses to open files containing B&W smart layers you not only lose the B&W settings – you also lose the other smart layer settings, f.e. Perfect Effects. At least you still have the possibility to open the resulting composite – but the promise to have your edits accessible in the future is not fulfilled. After reading your article and agreeing with your every word, I rethought my whole digital photography workflow. I use a folder system on my OS of choice to organise images. Bye bye Capture One. At any time I have access to source, tagged, lowres and hires images from any shoot without resorting to anything else except my computer OS filing system. If Nik, Snapseed or Photo Mechanic play up, crash, or become otherwise unstable, the core of my work remains accessible and at hand. Thank you for your alternative way of thinking. Made a big difference to my photographic mindset. Cheers for posting. Thanks for your kind comments. I must admit that when I read them I felt a great weight of responsibility! It also prompted me to re-read my post, and realise that I need to practice what I preach a little more. I have more images than ever ‘locked’ into Lightroom, Capture One and other non-destructive apps, and I need to do something about it. You’ve clearly found an effective system, so I think I should take a look at an approach like this myself. I prefer to shoot RAW files to squeeze out a little extra dynamic range, but there’s no reason why I shouldn’t export my processed images to folders as JPEGs rather than keeping them as Virtual Copies or edits that exist only in application-specific metadata. The responsibility is all mine, Rod. I’ve been itching to overhaul my digital photography workflow, dabbling here and there with destructive editing and non-cataloging software (Nik, Snapseed and Photo mechanic). When I stumbled upon your post, I was immediately struck with the common-sense of it all. I’m an all or nothing type of guy, so no surprise when I went 100% for this much improved workflow. Benefits, other than those previously stated, destructive editing has revolutionised my digital photography. My workflow and portfolio have improved ten-fold since adopting speed over perfectionism, JPEG over RAW, small sensor over full-frame, mirrorless over DSLR. I recently bought a Lumix DMC-FZ200 Bridge camera. This, together with the new workflow, has brought the fun of photography back to the forefront, exactly where it belongs; shoot first, post-enhance later, deliver to client with speed, skill and professionalism. Again, cheers and a big Thank You for this post. Nice to make your acquaintance too. With the recent DxO and Adobe announcements, this topic again moves to the forefront. I for one (well, and most others) are not going to switch from RAW to JPEGs, otherwise there is little reason to use high quality camera gear and use quality image editing software. Might just as well use the free software included with Windows, MacOS and Chrome OS. I’ve come up with a possible solution that builds on your original idea of identifying all the images which have been non-destructively edited in Lightroom. Now there is a comparison unedited/edited version of each edited image. Agreed, this is not a high speed solution but then, one might be switching to get the different results of the new tool. I for one, several years ago, purchased and used both DxO and Nik and preferred their editing capabilities to Lightroom. However using them together with either no DAM or a separate DAM was so clumsy that I gave up. With the integration of U-Point into DxO, switching to DxO Photolab is now on the table for me; even without a DAM. While I too have about 50,000 images in lightroom; I too only have about 10% that I’ve edited (or ever will edit). See link below for an excellent tool that provides basic DAM features – It works well in conjunction with DxO PhotoLab, and it’s FREE for non-commercial use. I found this 5 year old post because I had some similar considerations. From photo organising perspective and to ensure that old family photos are kept fit times to come I find NDE highly problematic. I believe that the master should be able to live on its own, not depend on any software. However, I’m having a tough time arguing for this. NDE seems to be the holy grail of today. One argument seems to be that photos deteriorate in quality when the photo had been edited and exported to jpg, and that the originals should be saved in full resolution so that when technology advances, those photos could be processed in new, superior ways. Then it would have been a pity to throw away information from the image files. How is the situation now? Have tippy stopped using NDE, and baking the edits into your master files? I don’t think there’s one non-destructive editor out there that’s better than all the rest. Lightroom has the widest camera/lens support, Capture One is brilliant for specific cameras and lenses, DxO PhotoLab is just as good in different areas but doesn’t support Fujifilm X-Trans files… I like using all three but that leaves me with edits that are software-specific. I’ve been watching how I work, and most often I edit an image to my taste and I do not come back to it later to try again. It’s more likely that I’ll start from scratch rather than trying to tweak edits I’ve already made. So even though non-destructive editing sounds like a good idea, it turns out I’m hardly using it. In practical terms, I’m better off exporting my edited images as high-quality (software independent!) JPEGs as finished pieces of work and going back to my original RAWs if I need to. It sounds like you’re considering the same thing. I’m pleased to find this 5 year old post (came from the latest post about keywording). I am an Aperture user (still! ), but I can see I am going to have to make some hard choices in the future, as each further release of MacOSX increases the risk of something stopping Aperture in its tracks. The most important thing about Aperture is not the non-destructive editing (excellent though that is), but the data asset management features. Now a DAM also locks you in, to some extent, but perhaps slightly less so. But the whole integrated way that Aperture has of dealing with images works so much more slickly than the competitors I have seen, that I am loathe to leave it. My colleagues in the local U3A photographic group mostly use OS folders to hold their images, and individually pick them for editing with Photoshop; it is a complete nightmare as a process! My workflow is that every film I get back goes into a new Project, and I will go through it a few times doing basic PP like levelling horizons and a Levels adjustment, while starting to rate each image. Then I can gradually sharpen the focus to cover only the 3-star images, and apply further PP to them. Very occasionally I might have an image that deserves some more advanced PP, and that might get edited in Affinity Photo (called from Aperture). So despite the lockin I find myself definitely not wanting to switch completely to destructive editing. I do need to work out a migration strategy to whatever it is comes next (possibly Luminar with Libraries, but perhaps more likely Capture One). I’m lucky in that I don’t have to worry about Raw files, as I shoot film and 99% of my Aperture library is JPEGs or TIFFs. I think it would be a relatively simple (if extended) process to export the images, project by project, creating new JPEGs with all the current edits locked in. I’m not sure quite how to deal with Albums, but presumably a simple way is to export them again, creating a new and overlapping set of Projects. But you are right that I should think about an occasional exercise (perhaps annual) where recent work is saved in a more durable, less locked in environment. Yes, that’s a good point about layered 16-bit PSD files which, with modern cameras, can easily go past 100MB when you’ve hardly done anything. I have tried using Aperture again from time to time and it does fall over now and again on my newish iMac running Mojave, but if you’re working with TIFFs and JPEGs it must be so tempting to keep on using it. I would recommend Capture One because it can store images entirely within the library, like Aperture, but it is expensive and it sounds like you wouldn’t need it’s (excellent) RAW processing engine. Not easy, is it?